Thanks to the amazing support we have received from the local community, the Bayb’s Maternity Appeal now has a new total of £175,000. We are now on the final push for the last £75,000 and we need your help more than ever. Hopefully everyone will get behind our appeal. 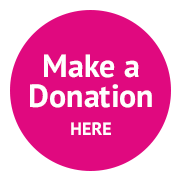 There are lots of ways you can make a difference: A sponsored toddle/silence/walk/run, a coffee morning or afternoon tea with friends, a Mum’s/Dad’s and babies play group, bake a cake, cash not cards with donations to the appeal. The list is endless. Fundraising is a great way to get together with family and friends and know you are changing the future.